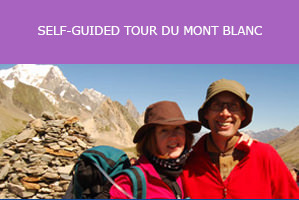 The Nant Borrant refuge (mountain hut) is situated just over 5km south from the centre of Les Contamines village. 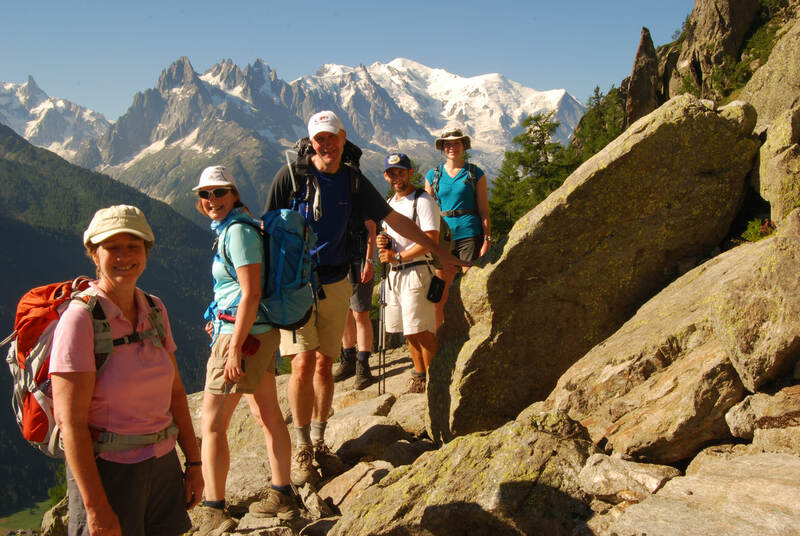 It is located directly on the Tour du Mont Blanc trail and is a great place to stop over for the night or for a drink or ice cream in their garden. Originally a farm, the Nant Borrant refuge was converted into a hotel in 1870. 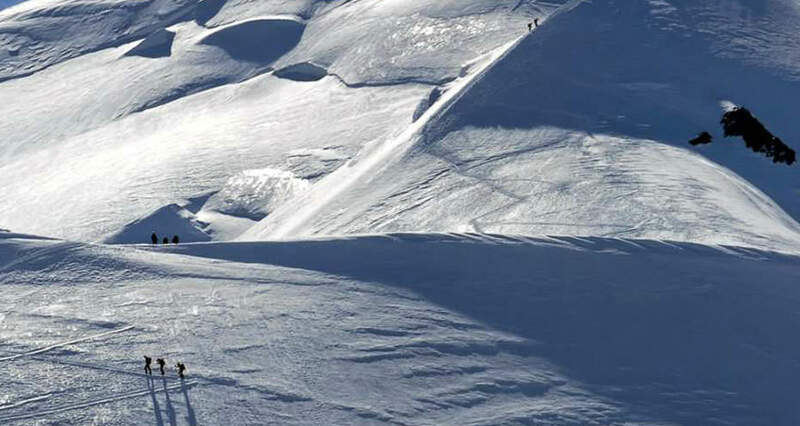 Historically, the route between Les Contamines and the Col du Bonhomme was a busy road for travellers and traders. As there was nowhere to stop on this trail, the Duchy of Savoie suggested that the owners at Nant Borrant convert the farm into a hotel. Since then it has always belonged to and run by the Mattel family. At present it is run by Patricia. The current refuge has five dormitories and has a maximum capacity of 35 people. The dormitories have between five and nine beds. The bathrooms are communal and provide hot showers. The refuge provides duvets and pillows, evening meal and breakfast. Dinner normally includes home-made vegetable soup, main course with a vegetarian option, cheese and a dessert. The refuge is also able to provide a packed lunch at extra cost. If you do not like dormitories then you will need to spend the night in Les Contamines where there are a handful of hotels, most of which have a bedrooms with attached bathrooms. It is best to book your place at the refuge either by email or phone. 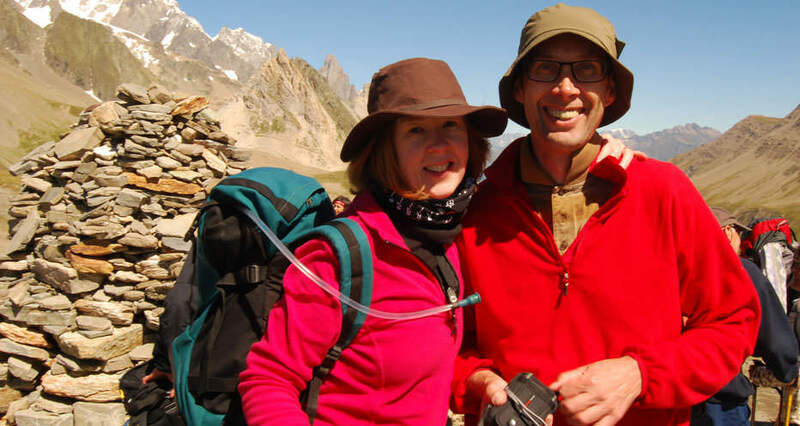 It can book up very quickly, particularly if there is a larger trekking group. If you are walking from the centre of Les Contamines the trip to Nant Borrant will take about two hours. En route you pass the magnificent church at Notre Dame de la Gorge which is set on a site that was known to mediaeval hermits and has fifteen shrines lining the road representing different stages of the Virgin Mary’s life. From here there is a steep climb on the path which follows the gushing Bon Nant River. The walk is through magnificent forest and you cross an ancient bridge after 40 minutes or so. The Nant Borrant refuge is ten minutes beyond here on your right had side. 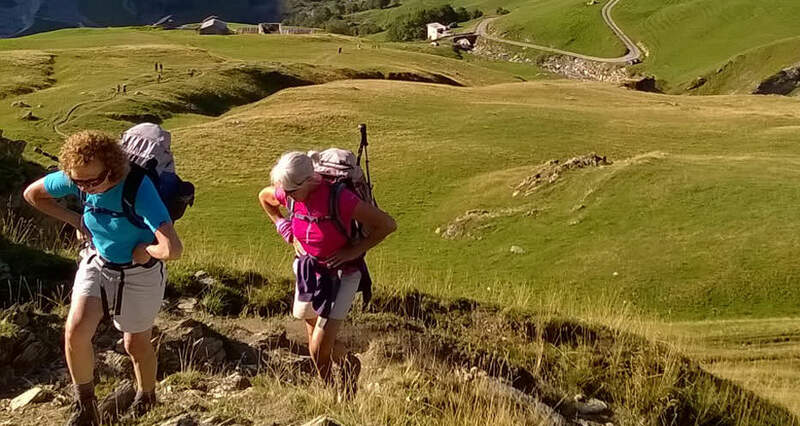 Continuing on from the refuge the path is gentler and heads alongside fields with views of the mountains until you reach the refuge la Balme (1700m) in just over half an hour. This is another lovely spot to stay the night or have a drink and the only place before heading over the Col du Bonhomme: the next refuge (Refuge du Col de la Croix du Bonhomme) is around three hours walk over the pass. 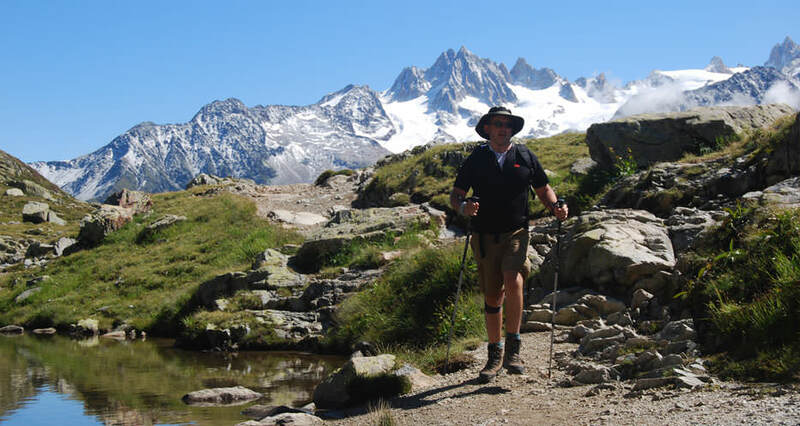 In total, you should allow 4-5 hours from Les Contamines to the Col du Bonhomme and this assumes you are not carrying a big rucsac with camping gear. On the way to the Col du Bonhomme it is possible to make a side-trip to the Lacs Jovet. This is a lovely setting and away from the sometime busy main trail. 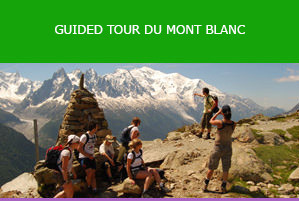 From Lacs Jovet there are different trails that take you to little-visited parts of the Mont Blanc massif. 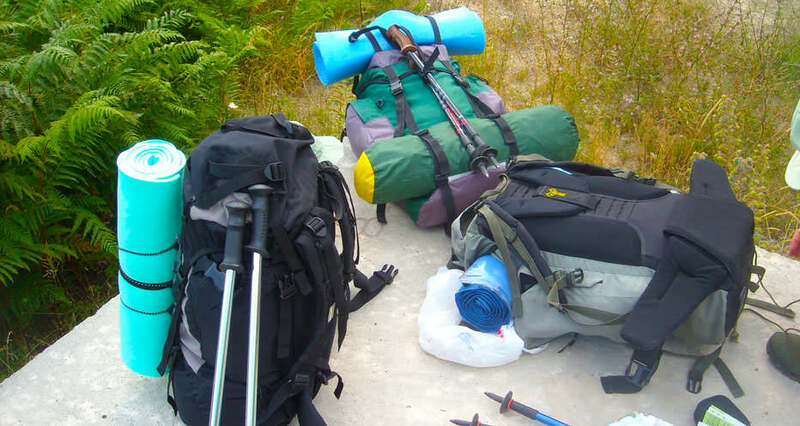 These routes can feel quite remote and adventurous and you need to be confident of your map reading and mountain skills if you intend to do this. Some of the trails are feint and include short scrambles.